Elizabeth Warren has never been a friend to the wealthy. 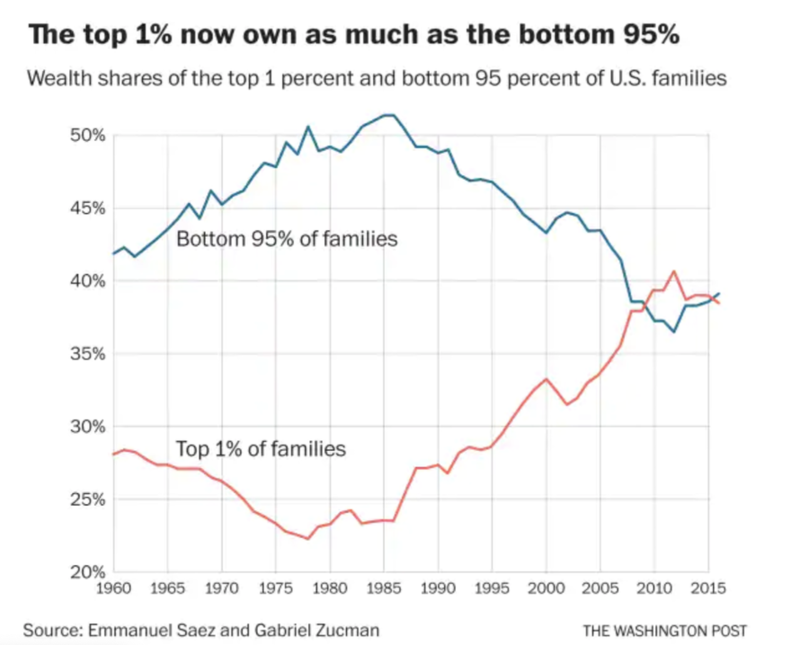 But in the age of Bernie Sanders and Alexandria Ocasio-Cortez, merely advocating for "holding the rich accountable" simply doesn't penetrate like it did back in 2008. And that's because, on the left flank of the Democratic Party, you're not really a progressive unless you believe that the existence of billionaires is a policy error. In keeping with this new "Democratic socialist" spirit, Warren is now calling for a 'wealth tax' on all Americans with more than $50 million in assets in what looks like a strategy to one-up AOC's call for a 70% marginal tax rate on all Americans earning more than $10 million a year as Warren jockeys for mantle of the "one true progressive candidate" in what's looking like an increasingly crowded primary field (one that, thanks to the entry of South Bend Mayor Pete Buttigieg, now features a gay progressive millennial). After initially considering a 1% wealth tax on fortunes over $10 million, Warren and her team over the last two weeks decided that a 2% on fortunes over $50 million would make more sense. According to the Warren team's calculations, the wealth tax would raise $2.75 trillion over ten years from about 75,000 families, a number equivalent to less than 0.1% of the US population (of course, that estimate is probably contingent on the US economy avoiding a punishing, prolonged recession). Warren's policy point man said the campaign believes the tax would help ameliorate wealth inequality in the US. Because, in Warren's estimation, the IRS doesn't do a very good job of taxing the rich. "The Warren wealth tax is pretty big. We think it could have a significant affect on wealth concentration in the long run," Saez said in an interview. "This is a very interesting development with deep root causes: the fact inequality has been increasing so much, particularly in wealth, and the feeling our current tax system doesn’t do a very good job taxing the very richest people." 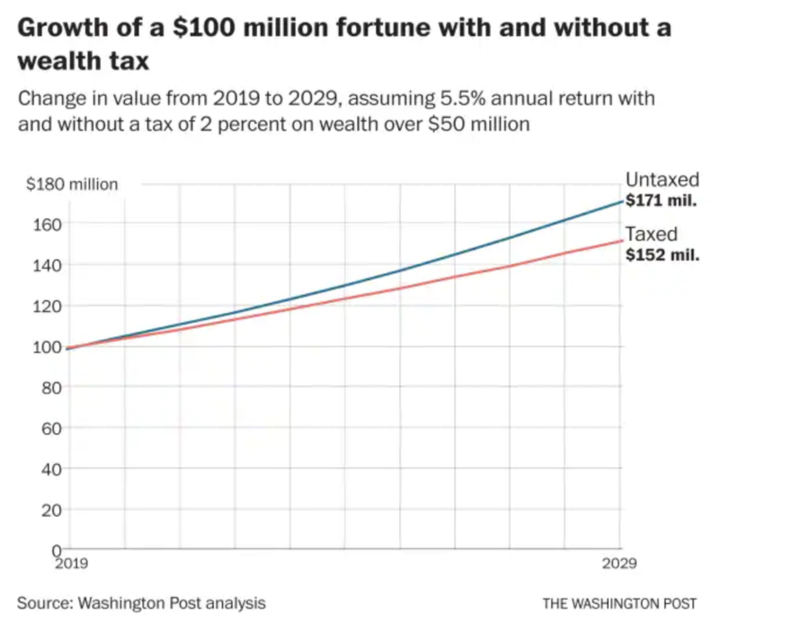 And to make sure that the wealthy simply don't resort to the myriad options available for ensuring that they pay as little in taxes as possible, Warren's plan also includes several mechanisms for combating tax evasion. Warren's campaign has embraced the Democratic Party's recent leftward drift, even publishing an op-ed in the NYT praising AOC's 70% marginal tax rate proposal. Warren's team argued that the tax is only fair, because, according to their calculations, the wealthiest Americans face a tax burden of 3.2% of their relative wealth, while regular families face 7.2%. While Warren's progressive tax policy will help her win votes on the Democratic left, we wonder how well a policy platform centered on tax hikes is going to play with an electorate still enjoying the additional spending cash from the Trump tax cuts. 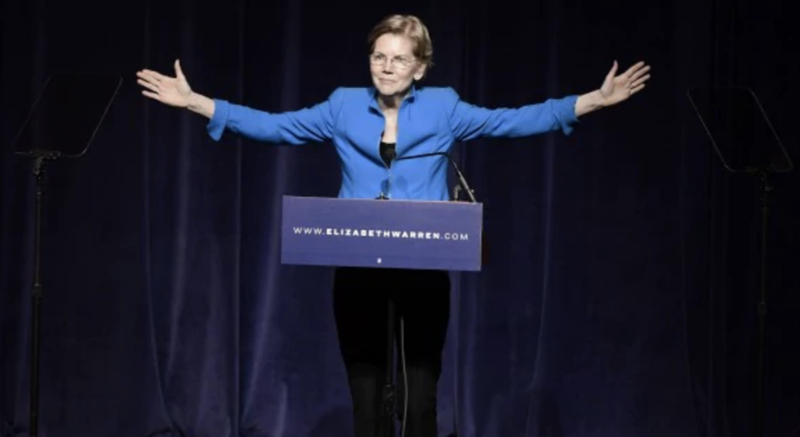 And even if it proves popular, Warren will still struggle to distinguish herself from Bernie Sanders should he enter the race.